31.07. 2014 (Hvino News). Russia’s Ministry of Economic Development has developed a draft law to suspend the agreement between Russia and Georgia on free trade, Russian media reports. The initial free trade agreement was signed on February 3, 1994. Georgia is not a member of the Commonwealth of Independent States, but is still party to several CIS trade agreements. Russian media stated the suspension of Russia’s free trade agreement with Georgia has been agreed by other agencies within the Russian Federation, including the Ministry of Foreign Affairs, Ministry of Economic Development and Ministry of Justice. The move comes after Georgia signed late last month deep and comprehensive free trade agreement with the EU; provisional application of large part of this treaty, which is part of the Association Agreement, will start from September 1. 31.07.2014. On the 5th of July, Georgian Sommelier Association became a member of the Worldwide Sommelier Association (read more here). This occurred in Reims, Champagne region of France - birthplace of champagne, which hosted WSA’s General Assembly. During the meeting, Shalva Khetsuriani, President of the Georgian Sommelier Association, addressed the assembled participants. Khutsuriani met with presidents of Sommelier Associations of China, Japan, Sweden, Norway, Denmark, Canada, Finland, England and Poland. As he declared in conversation with BPN, these people carry a lot of influence in their countries and thus can contribute a lot to making Georgian wine popular. Three weeks spent in France were quite fruitful, according to the President. - The Worldwide Sommelier Association has existed for 50 years and includes representatives of over 50 countries, mainly those who have a winemaking culture. 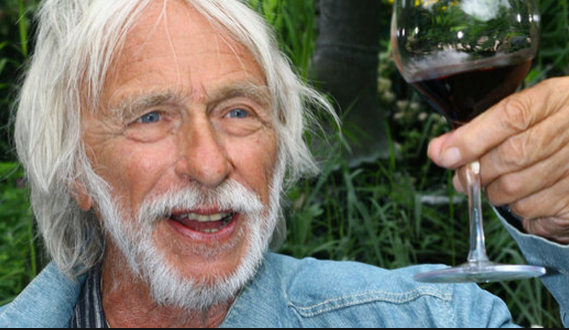 This is the most influential organization in the field of wine. The Georgian Sommelier Association was its membership candidate for several years. They observed our activity and paid us visits, and we also attended their meetings. 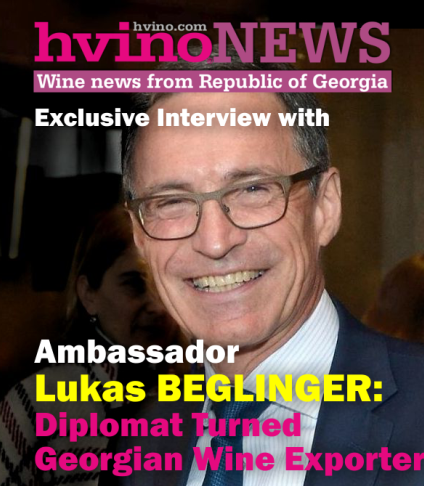 Members of this organization help and support us in a lot of things to this day, and in turn, we cooperate with other countries’ sommelier associations and try to assist them in raising awareness and popularization of Georgian wine abroad. This time our meeting takes place in France, region of Champagne - the birthplace of champagne; the General Assembly has gathered here, and this time we are its full members. Not to mention that many important questions were discussed. 29.07.2014. An annual European cultural festival in Germany’s capital city is focusing on Georgia for the first time. The 2014 annual European Culture Days in Berlin are devoted entirely to Georgia and its unique dining experience. For the past 14 years, Berlin’s Museum of European Cultures has offered an annual program of exhibitions and events known as Culture Days. The event aimed to establish and maintain connections with European partner museums however the primary goal of Culture Days is to provide guests from Berlin and wider Germany the chance to gain insight into other European cultures and traditions. This year Culture Days will focus solely on Georgian viniculture and dining culture. During August revelers will have the opportunity to enjoy Georgian traditional wine culture and ‘supra’ – a traditional Georgian feast that is an important part of Georgians’ life. A special feature of the supra is the election of a tamada, a tableleader, who leads the guests through the evening with a variety of toasts as guests gorge on food and drinks. 28.07.2014 (Hvino News). 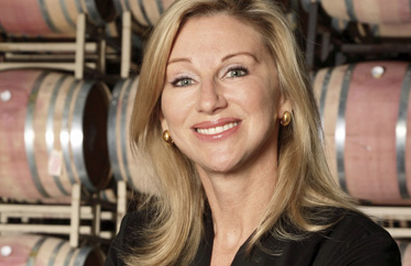 Guests are invited to join renowned wine educator and speaker and Master of Wine Debra Meiburg for a Georgian wine tasting seminar. The event's venue is Beijing Badaling International Exposition Center, on Jul 29 at 15:00 p.m. The exclusive seminar will include a tasting of wines from "Georgia, one of the trendiest wine regions in Europe", - says the announcement. Debra Meiburg MW, a longtime Hong Kong resident, is an award-winning author and in-demand speaker. In 2012 she was awarded the Premio Internazionale Vinitaly and ranked 7th in the drink business’ list of “Most Powerful Women in Wine.” Debra has spoken for key political figures and business leaders throughout Asia about the finer points of wine appreciation, and also for wine regions on 6 continents about Asian wine markets, with over 70 events last year. If you are in Beijing, contact Bonnie Lee at lee@debramasterofwine.com about attendance. 28.07.2014. For now Georgian wine is lost among all the competition on the EU market. However, losing a battle does not necessarily mean losing the war, says Luis Echánove, owner of the branding company Razonable. He has been invited to Georgia by TBC Bank for regular master classes targeting Georgian businesses. “Entering EU markets will be a great challenge for Georgians. Offering differentiating features and not being excessively ambitious” is the key advice recommended by Echánove. The Georgian Parliament ratified the Association Agreement with the European Union at an extraordinary session on 18 July. Georgia -- alongside Ukraine and Moldova -- signed the key political and economic accord in Brussels on 27 June. 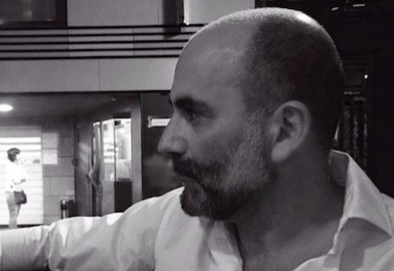 Luis Echánove is founder of Razonable and has been its executive creative director since the company first began to operate in 2003. He has developed branding and design projects for both local and international companies such as: Carrefour, Coca-Cola, Leroy Merlin, Orange, Hibu (Yellow Pages), Vueling Airlines, NH Hotels, Reina Sofia Museum, Viceroy watches, Mahou beer, Carlsberg, Heineken, Madrid City Hall, Kelogg’s, Campofrío, Schweppes, Correos (the official Spanish postal service) and several Spanish wineries. 25.07.2014. According to survey data published by Russian marketing research agency RBC.Research, 20% of its readers give preference to Georgian wine, which, according to the survey, is the fifth in the rating after Italian (41%), Spanish (34%), Chilean (27%) and French (25%) wine. The survey question was "Which country’s wine do you prefer?". 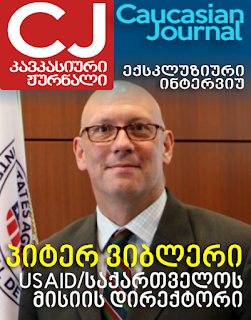 The survey data is quoted by Georgian newspaper Commersant. Abkhazia was included in a list as a separate state and the Abkhazian wine (14%) follows in the footsteps the Georgian wine. Wine produced in Russia, Argentina, Germany, Ukraine and other countries was at the bottom of the list. In the first quarter of 2014, Georgian wine returned to the Russian market took the third place among top-selling imported wine after French and Italian wines. Its share on this market amounted to 14.1% and was even ahead of Spanish wines, - adds Georgian newspaper. 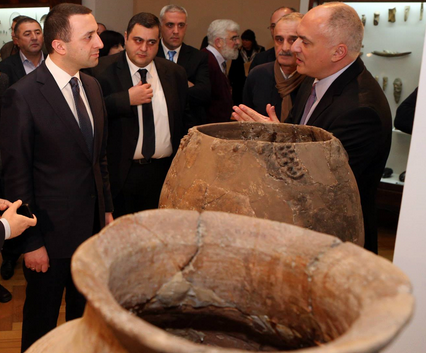 25.07.2014 (Hvino News) Director of the National Wine Agency Levan Davitashvili made comments regarding the Georgian Wine Museum project, announced earlier this year (see Prime Minister Garibashvili initiates wine museum and National Wine Day). Mr. Davitashvili said "there is no country in the world where a wine museum has a status of National Museum; such institutions are established with private capital. For example, in Spain there are up to 60 museums, and all of them are privately owned". This is why the head of Wine Agency believes the Georgian museum as a unique project. "There are not many similar museums in the world. 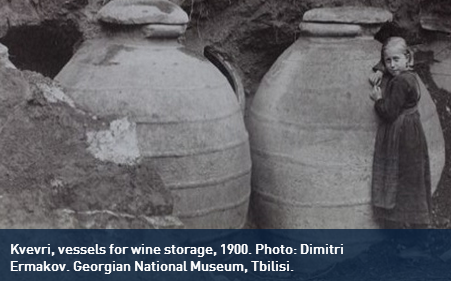 In our museum the archaeological material of the Georgian wine industry will be displayed. In addition, visitors will be able to familiarize themselves with modern technologies of wine production,"- Davitashvili says. In his words, currently work on the statute of the museum is underway, which must be approved by the government. The museum, called "very ambitious project" by Davitashvli, will be built on the Turtle Lake area in Tbiilisi, near the Ethnographic Museum. The museum project will be finalized in the spring of next year. However, neither the exact date of opening nor the amount of project funding are known. 24.07.2014. Georgia’s disappearing grape vines are being brought back to life. A government-led project has launched with the aim of recovering unique and rare species of Georgian grape varieties. Georgia’s National Wine Agency, under the Ministry of Agriculture, has distributed 7,000 vines to local winemakers in a bid to stimulate growth of the diminishing grape varieties. The Agency is planning to increase this to 70,000 vines across the country as the project moves ahead. In Adjara, in Western Georgia, special greenhouses have been built where new vine seedlings will be planted, including Tsolikauri, Aladasturi, Mekrenchkhi, Butko, Satsuri, Chkhaveri and Jani varieties. Georgia is known all around the globe for its ancient winemaking methods that create unique wine. There are more than 500 local grape varieties in Georgia. 22.07.2014 (Hvino News). Otar Danelia, first deputy minister of agriculture, has been named today for the post of agriculture minister, replacing Shalva Pipia. 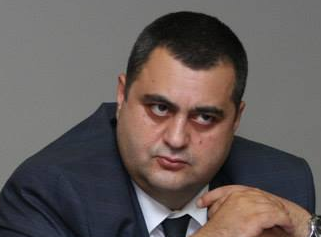 Georgia's Prime Minister Irakli Garibashvili announced an unexpected cabinet reshuffle on Monday. Seven ministers resigned, including Shalva Pipia. Mr. Pipia served as minister of agriculture since May 2013 (see Georgia's agricultural minister resigned amidst fraud scandal). “I am sure that with his creativity and motivation will lead the Agriculture Ministry with success,” Prime Minister Irakli Garibashvili said of Mr. Danelia. “All the projects initiated under my predecessor will continue, plus all those projects that the country has to implement as part of the commitments under the Association Agreement with the EU,” Mr. Danelia said. 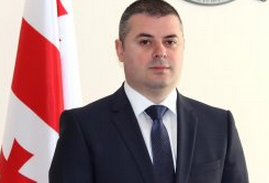 Otar Danelia was appointed as first deputy minister of agriculture in April, 2014. Before that he served as head of the Interior Ministry’s Service Agency for few months and was deputy head of logistics department at the Interior Ministry since 2013. Otar Danelia has also worked in Georgian companies including SilkNet and Bank Republic, as well as in international organizations. Danelia studied law at the University of Tbilisi, he also graduated from the Diplomatic Academy. 22.07.2014 (Hvino News). Georgia's Prime Minister Irakli Garibashvili announced an unexpected cabinet reshuffle on Monday that will require all government ministers to face a fresh confidence vote in parliament. The premier said he would name by Wednesday new candidates to replace outgoing ministers, including Shalva Pipia, Minister of Agriculture. "We need to double our energy, motivation and efficiency in order to deliver on all promises pledged by the (ruling) Georgian Dream (coalition)," Prime Minister Irakli Garibashvili said, giving no further reasons behind his decision. Spain and Georgia became active members of the A.S.I. 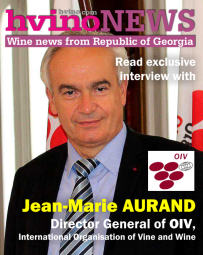 20.07.2014 (Hvino News) Two International Sommelier Association (Association de la Sommellerie Internationale, A.S.I.) observer members for 4 years, Georgia and Spain, became active members thanks to the positive vote of the General Assembly in Reims on July 5th, according to official information of A.S.I. Shalva Khetsuriani, president of the Georgian Sommeliers Association, supported by the Russian Association, said that he was very grateful and really willing to enhance sommellerie in Georgia. Read also here. Pablo Martin, president of the UAES, supported by UDSF and its president Michel Hermet, also said he was very proud and moved to come back with full rights in the great family of the A.S.I. Now the A.S.I. counts with 57 active members, from 57 countries around the world. 19.07.2014. The Association Agreement will help Georgia to catch up with the European Union, Stefan Fule (Štefan Füle), European Commissioner for Enlargement and Neighborhood Policy, said in his speech in the Parliament of Georgia. He said that Georgia will become more competitive and it means that it will find its place in the deep and comprehensive free trade area. 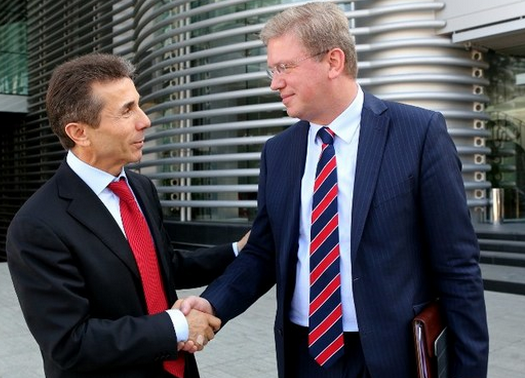 "Trade between Georgia and the EU will open up new opportunities. Of course, it will also facilitate Georgia’s trade with the rest of the world, will provide better products to the Georgian customers and will deepen contacts with neighbors. Georgia is known for its quality of food products. I'm looking forward to the day when Georgian wine will be available on the EU market. Hopefully, this time will come soon," he said. According to him, the agriculture sector has great potential and it needs further modernization. Fule said that the country needs reforms, investment and training. "Reforms take time. We know that the Associate Agreement gives Georgia time to carry out these processes. This transitional phase includes a series of years. Our goal is to help the Georgian economy and people. Therefore, the EU is determined to help Georgia. The European Union provides financial support in the reform process over the years. The European Union support is not only financial; it included training, technical support and so on", he said. 17.07.2014. After a very tense and dangerous bus ride winding down very narrow and curvy streets during Tbilisi rush hour traffic, our group was forced eventually to walk the last 100 meters of the way to our destination which was further down on a one way side street. Our first official visit was less than two miles from the hotel, to the only wine bar in Tbilisi [correction: there are currently two wine bars - HN] called ‘Vino Underground’. And as it name suggest, this is an underground cellar that was converted into not only a wine bar, but also a small and delightful wine shop that brings to Tbilisi some of the best natural wines of Georgia. 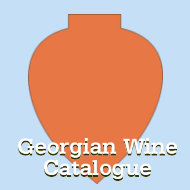 Owned and operated by seven small Georgian wineries, here one can find a wide variety of natural, organic and biodynamic wines representing all of the different wine regions of Georgia. Since wine making in Georgia is over eight centuries old, the vast majority of wineries of Georgia are very small. However today, there is a movement for some of these wineries to work together to improve wine quality and awareness. At Vino Underground they have 70 different small wineries that they represent making them the largest wine shop of Georgian wines in Tbilisi. Georgia joined the international organisation’s General Assembly in the French city of Reims, in the Champagne region. Georgian Sommelier Association president and honorary Ambassador of Georgian wine Shalva Khetsuriani took part in the assembly. He addressed attendees and spoke about the successful methods being implemented to raise awareness and popularity of Georgian wine and the sommelier profession. One of the important issues discussed at the A.S.I. assembly was how to implement standards of sommelier activity and developing this profession throughout the world. 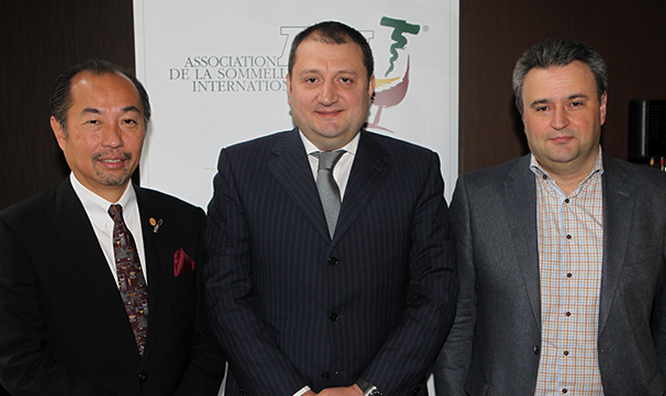 Within the assembly, Khetsuriani met with Sommelier Association presidents and negotiated the sale of Georgian wine in different countries including China, Japan, Sweden, Norway, Denmark, Canada, Finland, England and Poland. 10.07.2014 (Hvino News). According to the Georgian Wine Agency total of 26 872 145 (0,75 l) bottles of wine were exported to 34 countries as of June, being 136% higher vs last year's same period. Five leading export destinations of Georgian wine are as follows: Russia, Ukraine, Kazakhstan, Poland and China, where Russia holds 66% of total volume of exports. Exports in value as of June 2014 amounted to US$ 87,270,181, which is 159% higher vs last year same period. 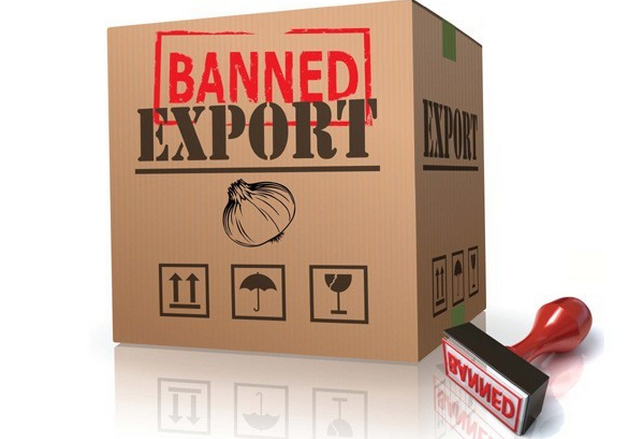 Brandy exports as of June 2014 to in 10 countries are 5 587 168 (0,5 l) bottles. In value, the brandy exports amounted US$ 20,275,872 as of June 2014, being 58% up as compared to the same period of previous year. Ukraine is leading Georgian brandy exports destination with 3 163 572 (0,5 l) bottles as of June 2014, whereas Russia is the second with 2 106 576 (0,5 l) bottles for the same period. 09.07.2014. (Hvino News) A few days ago Russia's Prime Minister Dmitry Medvedev said that Russia would take measures to protect its market, if Ukraine's and Georgia's parliaments ratify the Association Agreements with the EU. Medvedev said that measures would be similar to those that had been taken with regard to Moldova. On July 4, two days later after the ratification of the Association Agreement by Moldova, Russia imposed large scale restrictions on the meat from Moldova. Russia's sanitation department said that the Moldovan producers had committed a serious violation of veterinary - sanitary norms imposed by the Customs Union. In addition, the Council of the Eurasian Economic Commission will discuss the possibility of taking other measures against Moldova on July 16. 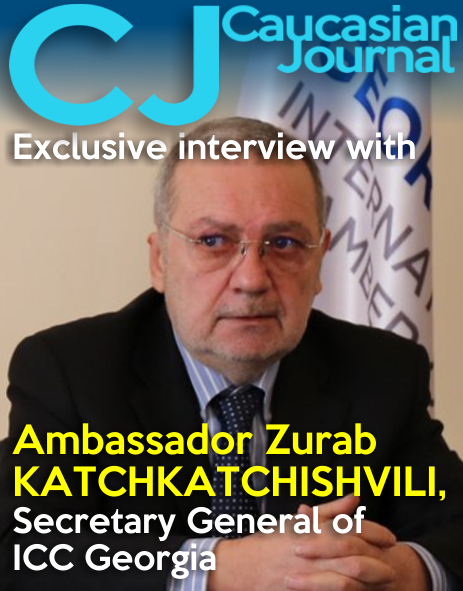 According to Chairman of the Committee on Sector Economy and Economic Policy Zurab Tkemaladze, Georgia does not have a trade agreement with Russia and, accordingly, we are insured from nothing, especially when our country has a negative experience in this matter, but he does not expect Russia to take this decision. Zurab Margvelashvili, general director of Tbilvino, considers the threats more realistic, but still less likely and says he doesn’t exclude Russian embargo on Georgian products. "Personally, I do not think that Moscow will impose a wine embargo against Georgia because Georgia is not so dependent on the Russian market, as it was earlier, "- Margvelashvili says but adds that nothing is excluded. 07.07.2014. Not so long ago I wrote in Marani magazine about Georg Riedel who is the tenth-generation leader and the owner of the world-renowned and family-owned Riedel Glassware Company. This person plays an important role in promoting different beverages to reach their success. Each glassware collection includes several different glasses suited to a particular varietal. Creating a varietal-specific glass collections greatly determines the recognition of that specific grape variety. Soon Saperavi will be added to that list. 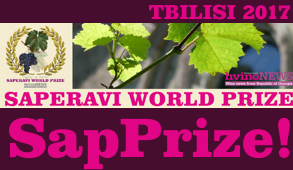 This is a very important event for Georgian wine since it will increase the awareness of Saperavi. Two weeks ago, Georg Riedel was visiting Tbilisi to hold a session about Saperavi wine glass and discuss its design at WinExpo Georgia 2014. 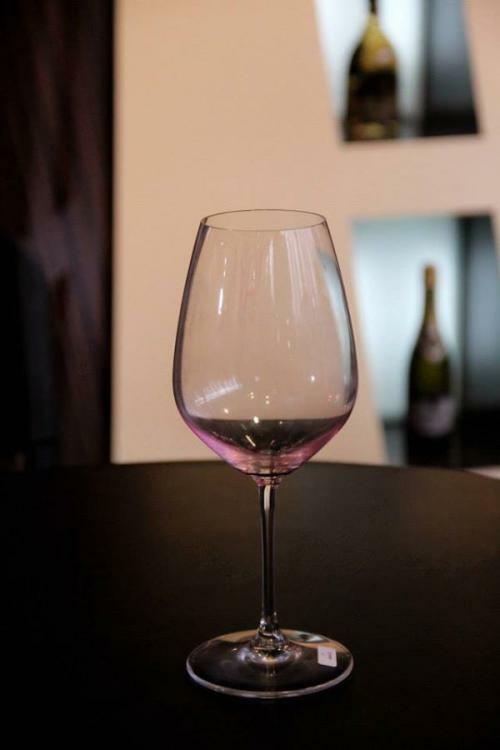 Before I write about his visit in detail, let’s take a look at the history of Riedel company. 07.07.2014. 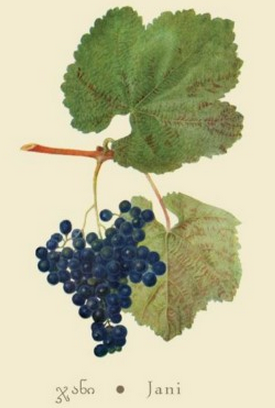 Red grapes will not be subsidized by the state in the frame of "Vintage 2014". The National Wine Agency carries out regulation of viticulture and wine-making industry and the analysis conducted by the Agency shows that the demand on red grapes exceeds the supply," - the Agency states. According to the Agency, the current conjuncture - export potential, projected sales and projected yield - gives the state the opportunity to get out of the subsidy scheme of red grape without creating any extra motivation in the sector in such a way in order not to cause any negative developments in the field. According to the Agency’s forecast, compared with last year grape harvest has increased – by preliminary estimates by about 20-30 percent. They say, in 2013 150 thousand tons were harvested, of which 94 thousand tons were industrially processed. "As for white grapes, a subsidy scheme similar to last year’s will be maintained, but a subsidy for 1 kg of grapes is slightly reduced, " - the Agency states, however, does not specify the amount of the subsidy. In addition, the Agency notes that wine companies will be able to receive preferential credits in 2014 as well. As for the financial details of the subsidy, the government will take a decision in the coming weeks. 04.07.2014. Russia has remembered the delectable taste of Georgian wine.Georgia’s large neighbour has overtaken Ukraine as the largest importer of Georgian wine in the first six months of this year. From January 1 to June 30, Georgia exported 26.8 million bottles of wine, valued at $87.2 million USD, to 34 countries across the world. Of this, Russia obtained 17 million bottles, which was 66 percent of total exports, said the National Wine Agency of Georgia based on latest state data. The volume of wine exported in the first half of the year increased by 136 percent compared to the same period of 2013. Latest wine export data showed Ukraine was the second highest importer of Georgian wine, followed by Kazakhstan, Poland and China. 02.07.2014. 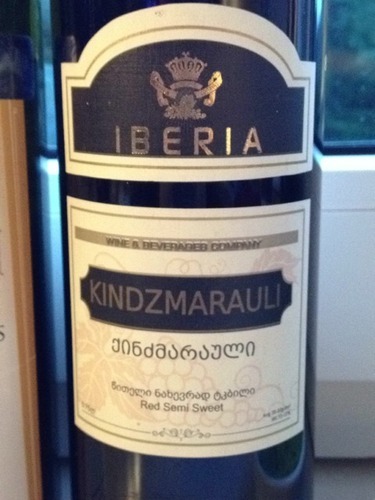 The investigating service of the Ministry of Finance of Georgia found out falsification of famous Georgian wine Kindzmarauli which was sold in various shops all over the country. The investigation revealed that employees of Iberia Company systematically falsified expensive wine Kindzmarauli and sold it in various shops. The falsified wine production did not meet required standards, and the quality of wine was low. 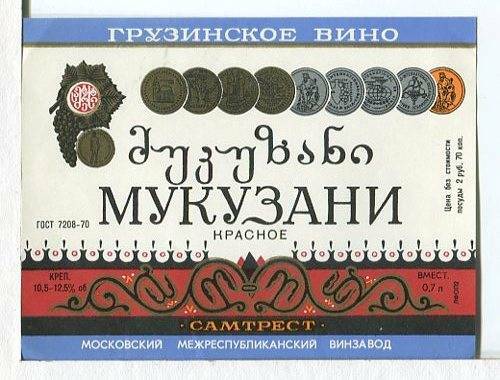 Dugladze Wine Company comments on donation to "Georgian Dream"
01.07.2014 (Hvino News). Dugladze Wine Company's representative commented on money donated to “Georgian Dream" (currently the ruling political coalition) during a pre-election period. On June 20, Dugladze Wine Company and Geospirtprom donated 20 000 GEL each to the “Georgian Dream”. According to the State Audit Monitoring Service, that was violation of the law prohibiting donations from the citizens of foreign countries. See also Georgian Dream returns donation to wine producer. According to the company's chief financial officer, George Maisuradze, a Russian citizen, who has a minor share in this business, is one of the company’s partners. In his words, he is a student of Russia, who took up this country's citizenship a few months ago in order to study in the Russian Federation. "As it turned out, in this case the company did not have the right of funding political entity, and we, of course, obeyed the law," - he said. As for the company's decision to fund "Georgian Dream", Maisuradze claims that it was the company's good will and it did not expect any benefits from the decision. CFO could not recall whether the company’s management had made the same kind of decisions on other political parties in recent years. Based on the the State Audit Monitoring Service’s letter, the coalition gave the donated money back to Dugladze Wine Company and Geospirtprom.